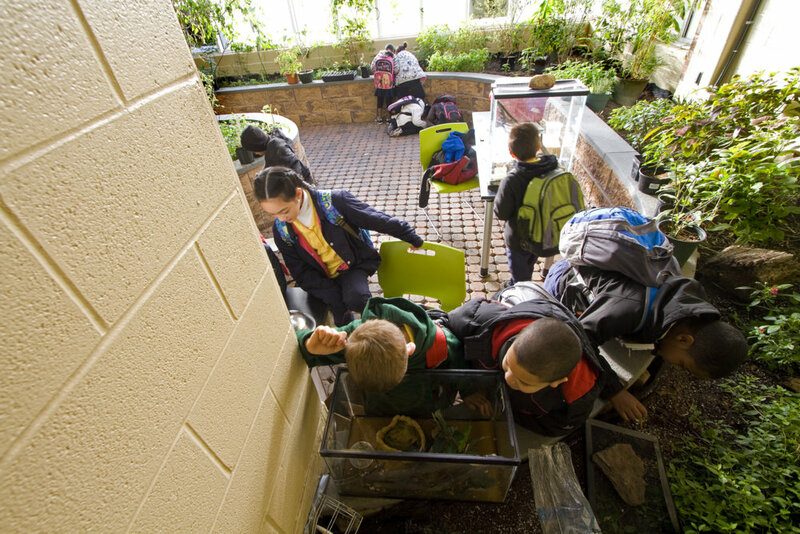 Each of the 10 students in this photo of the ESM vivarium is looking at a plant or animal in an aquarium, in the soil, or on the floor (lots of ants there). 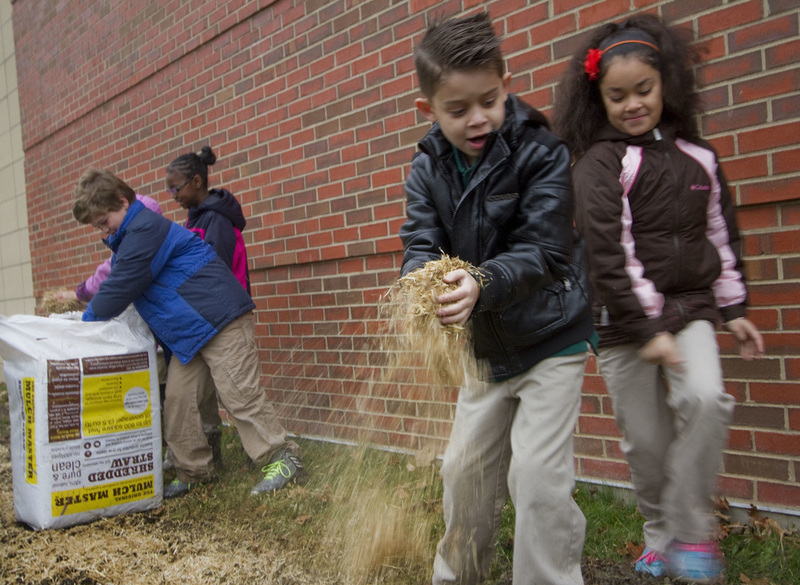 You don't have to teach children about inquiry, you just have to let it happen. Aug 2018: I'm retired. Convert everything below to past tense. ​I am a Resident Scientist, one of three at the Environmental Sciences Magnet school in Hartford, CT. 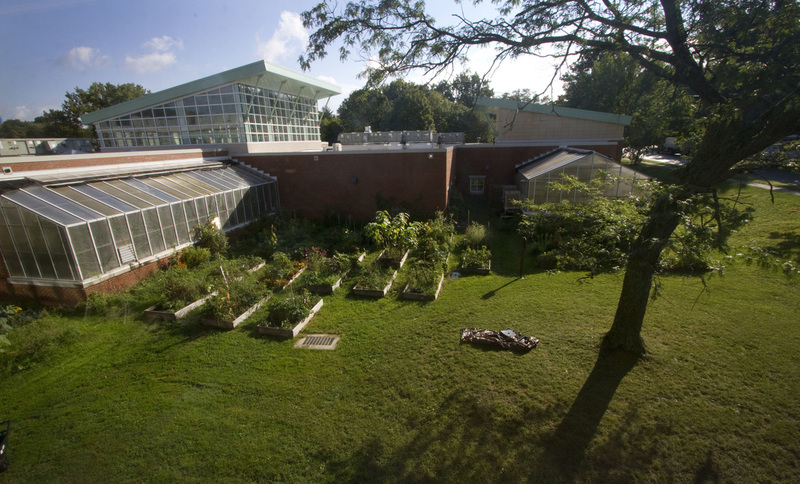 I have a unique position where I co-manage a garden, greenhouse and butterfly conservatory and use those resources to explore science with students at every level from preK to grade 8. I love the facts and concepts of every kind of science, and I have been known to push the limits of what fourth graders can do. But my students usually surprise me with their capabilities. Because more than most adults, they are driven by curiosity and passion for new knowledge (especially where it involves e.g., sharks or venomous snakes). I try to honor their natural inquisitiveness by working in the field, playing with microscopes, and asking questions for which I do not know the answers. I teach environmental science classes, and I collaborate with staff on their science curriculum. A lot of what I do is organized as some kind of project, where the students accomplish something that benefits the school or community. Water quality. This project is a long story, with its own blog, here: https://cuanswers.weebly.com/. In a sentence: By happenstance I learned that our building has a widespread water quality problem, with copper levels well above the legal standard. I am currently (Feb 2018) working with middle school students to troubleshoot mitigation efforts. Tap water tests, ESM, Nov 2017. Orange at right, negative control. 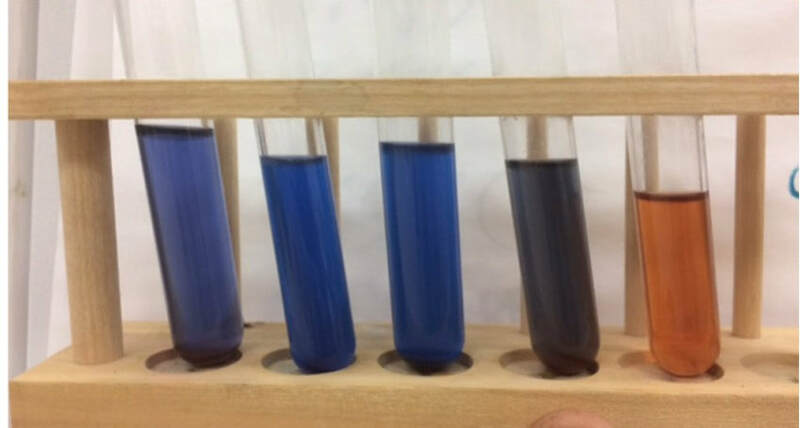 Blue samples at left exceed EPA standard for copper concentration. Recycling. We assessed ESM's performance, and found that we were throwing away most of the recyclables. We coordinated with the City, and identified the barriers. G7 students developed a presentation that they brought to every classroom. The mayor came to ESM to learn of our efforts. 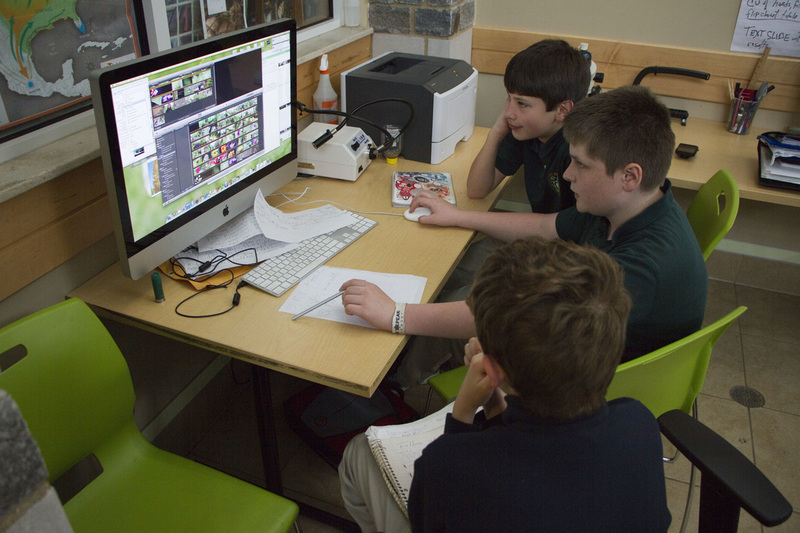 Grade 5, preparing poster for presentation at Pratt and Whitney. 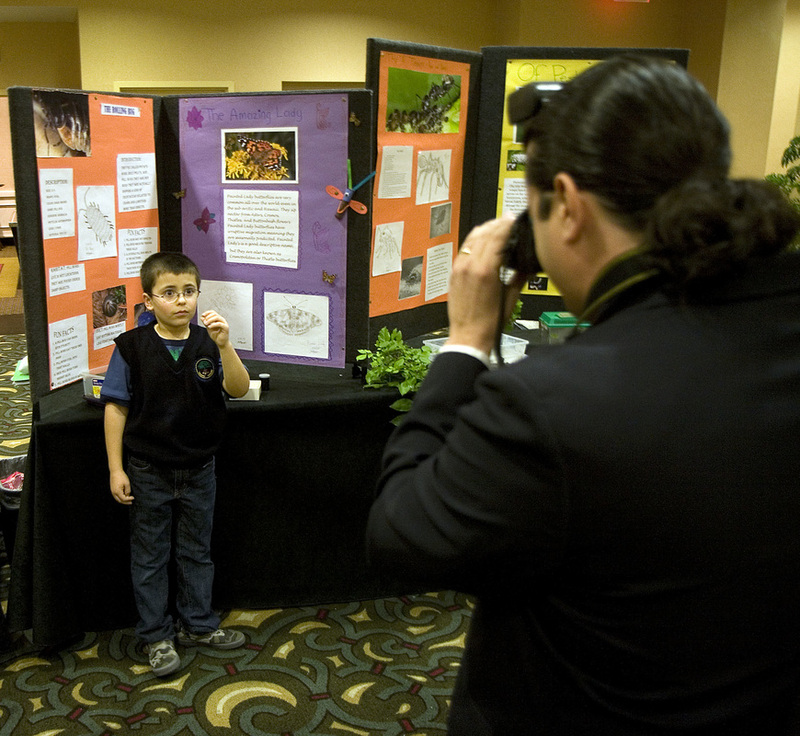 Entomological Society The Eastern Branch meetings were in Hartford, so we prepared posters, and displayed our insects and spiders. Spencer, Grade 1, a key player, was interviewed. The LEED video Our building is unusually energy efficient and environmentally friendly: we are designated LEED platinum. Our students created a video to explain what LEED means. Meadow restoration Our school grounds have large unmowed natural areas. When we observed that the architect's original plantings had been overrun with weeds, we began to restore a more natural meadow. Students helped seed it. 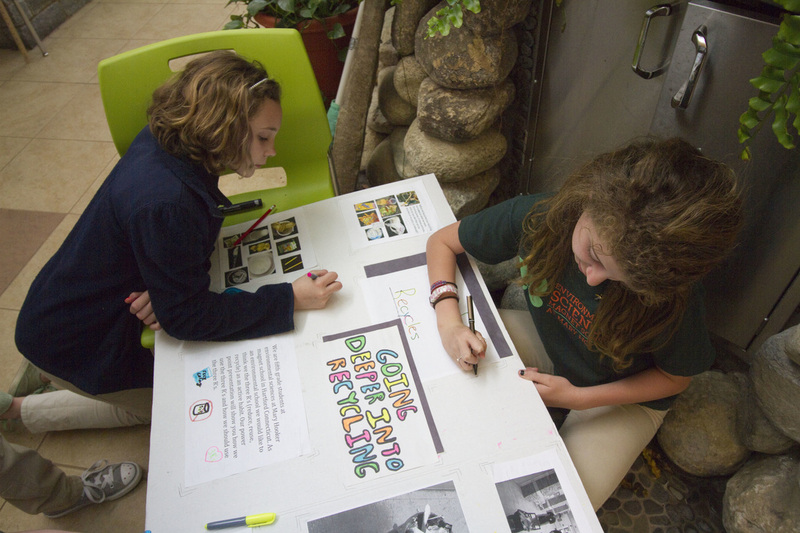 G6 students censused the species mix. G3 students seeding big bluestem and fescue meadow grasses. 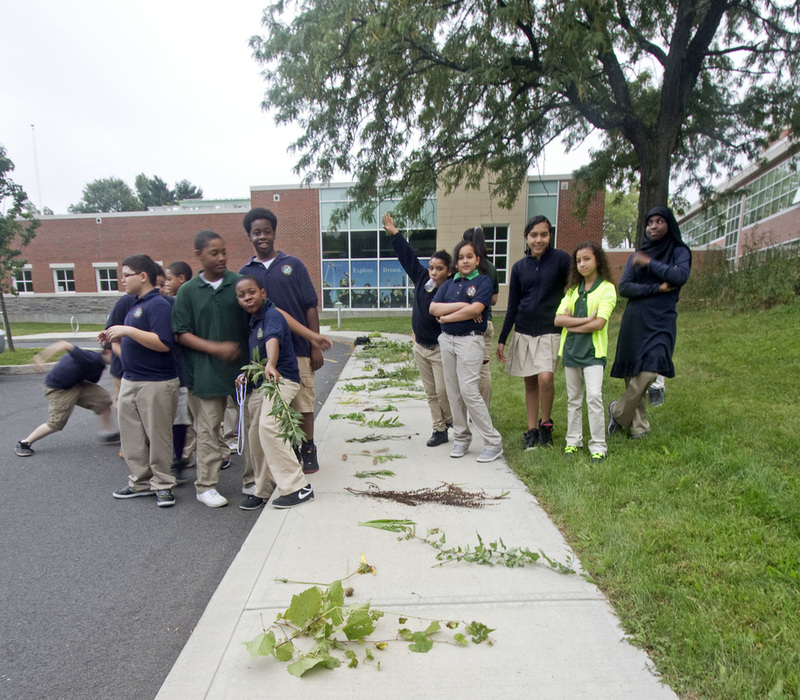 Sixth graders identified 20+ species of native and exotic species in the weedy spaces near the building. Middle school students are currently assessing the effect of meadow restoration on plant and arthropod diversity. 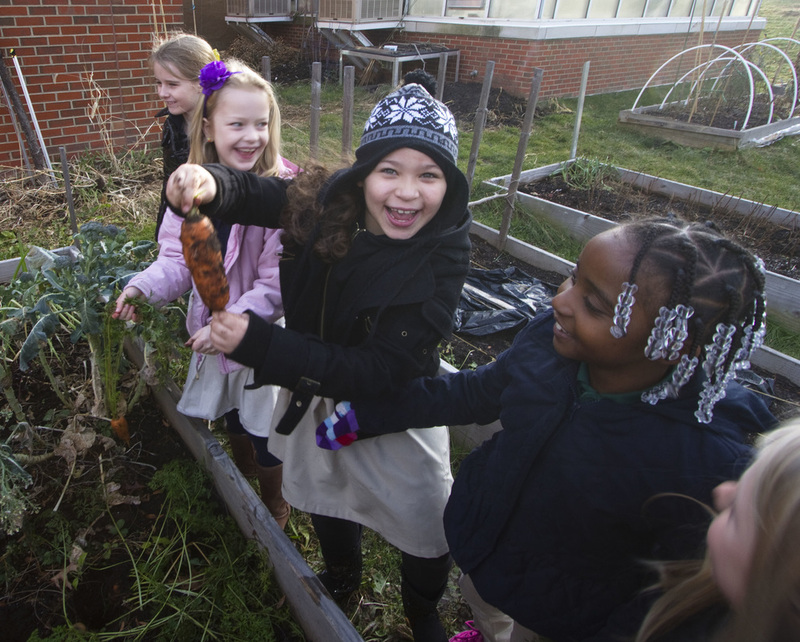 Community garden with 30 beds planted by classes, staff, and neighbors. Carrots are the best crop. There is the element of surprise, particularly if you've planted a lot of varieties. Conservatory/Butterfly Vivarium hosts bananas, papaya, coffee, miracle fruit, passionflower, and dozens of other exotic and common plants. 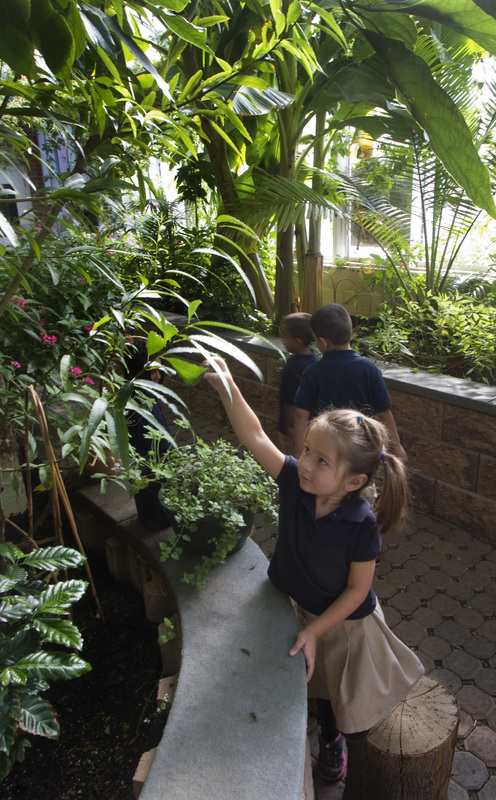 Students have access to information on Vivarium plants through a QR Code Database. We also keep reptiles and insects and a few thousand free ranging roly poly bugs. Greenhouse, where we grow plants for the garden and Vivarium. 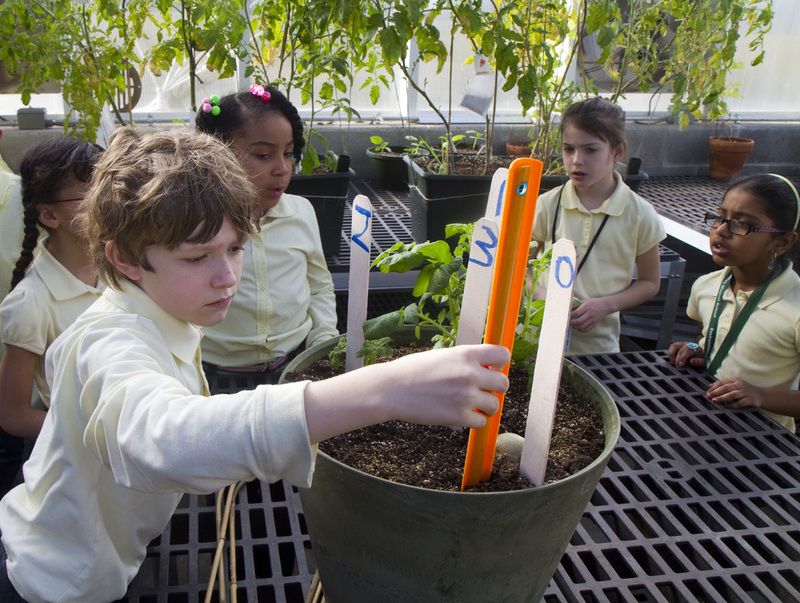 The greenhouse is an incredible resource for class and individual (science fair) experiments. First grade project: effect of planting depth on potato emergence. Outdoor green space includes a bit of meadow, and an invasive-choked woodlot and stream. Fourth graders visit the small stream every week to measure the temperature. 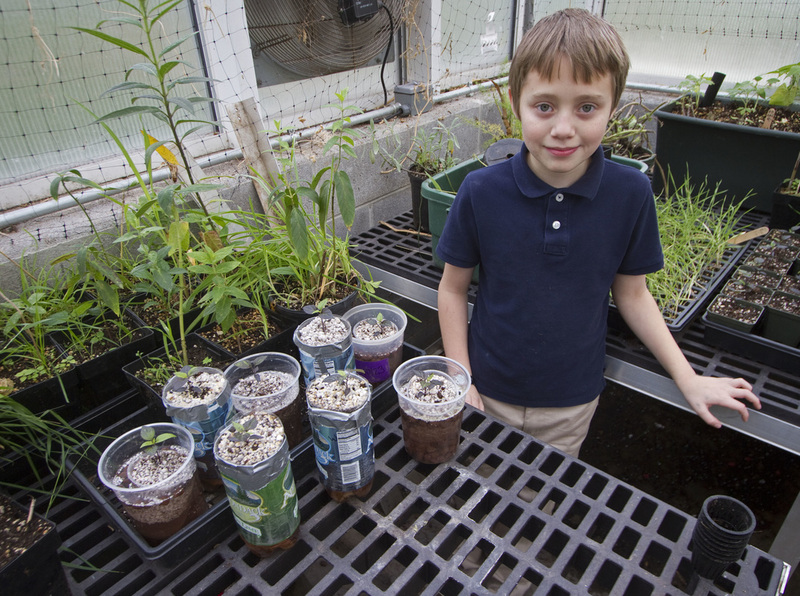 Science fair project: comparing different soda bottle hydroponic designs. 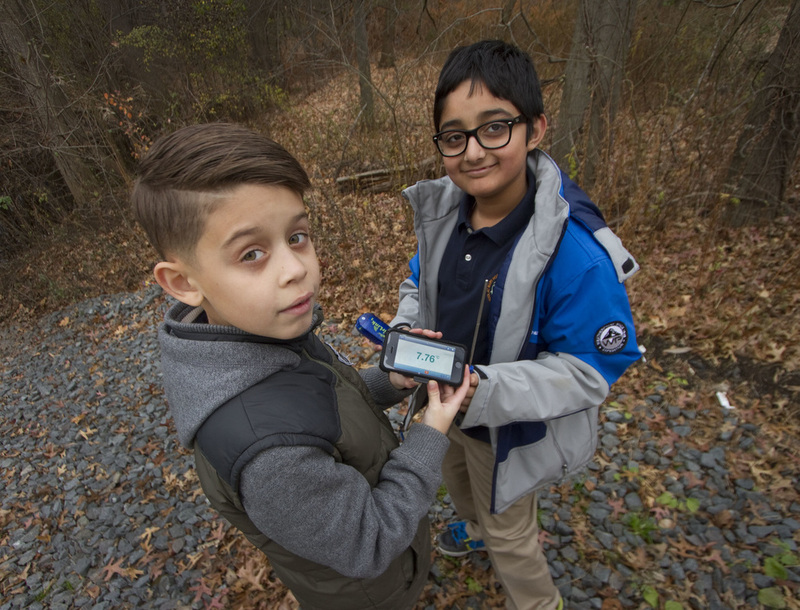 Once a week, fourth graders measure the temperature of Cemetery Creek.